I recently noticed a post from SUCHaDEAL on Slickdeals talking about two upcoming gift card promotions that CVS will be running the week before Thanksgiving (11/23-11/26). Since I know many people have cards which pay 5% back at CVS, these may be a good deal. CVS will be selling American Express gift cards without a fee during the promotion. While I am not 100% sure of the denominations they carry, I do believe they have a varibale card that can be loaded up to $500. Remember though that American Express gift cards do not have pins and thus cannot be liquidated to Bluebird or Serve. This makes them much more difficult to dispose of. Still if you are buying them through an online cash back portal, this may be a better deal if you are earning 5% back. 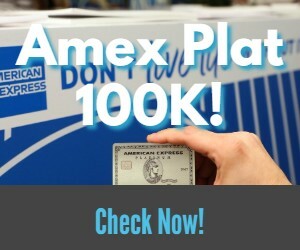 Be careful if you have the Old Amex Blue card though. A few weeks ago there were widespread reports of people having their accounts closed for abuse. As always its better to tread lightly if you’re not sure. CVS is also offering $25 Extra Care Bucks with the purchase of a $100 Gap, Banana Republic or Old Navy gift card. The offer is limited to one per Extra Care card. I only see this as being a deal if you shop at those stores. The resale value of the gift cards isn’t high enough considering your rebate is in the form of store credit and not cash. If you view the Extra Care Bucks like cash (as in you shop at CVS a lot already) then you can sell the $100 gift card to giftcards.com for $83. If you earn 5% back with Old Blue on the initial purchase, you basically have spent $12 and have a $25 store credit. It may be worth it for some. These aren’t killer deals, however they are solid enough to consider. For people who currently buy American Express gift cards, this may be an easy way to pick some up with a 5% rebate. Also, if you shop at CVS regularly or at GAP or the other two stores, then buying their gift cards and getting store credit may be the way to go. I have high hopes that we will see many more deals like this over the coming weeks. Stay tuned here as I will try to break them down to help you decide whether they are good or not. Previous articleDiscover 2015 Bonus Categories Announced! which cards earn 5% cashback at drugstores?